Vincent Jackson is CEO of fast growing CTV Capital. 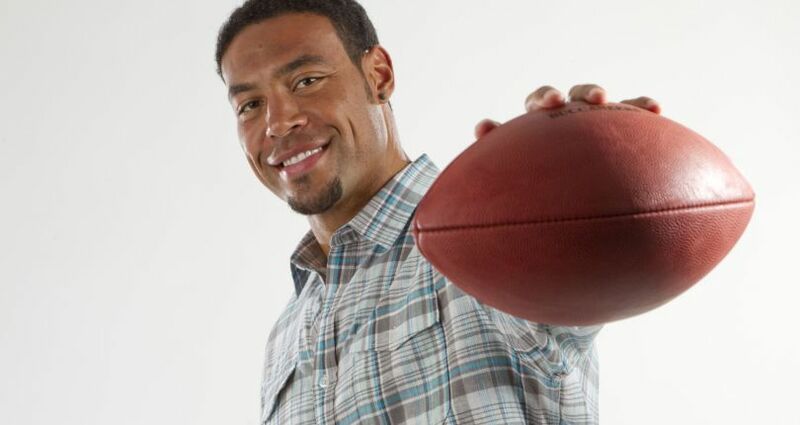 To football fans, Vincent Jackson is best known as a star wide receiver for the Tampa Bay Buccaneers who in 2013 and 2014 was named the Bucs’ Man of the Year for his leadership on and off the field. His many community activities include support for military families, reading programs and pediatric cancer research. But Jackson is also a savvy businessman who invests in real estate, owns a growing chain or Orange Theory fitness centers and has a stake in several restaurants, including Cask in South Tampa. The 32-year old Jackson, who studied business at the University of Northern Colorado, learned the virtues of hard work from a dad in the Army and a mom who was a strategic planner for the federal government. Now he is Chief Executive Officer of CTV Capital, which held a ribbon-cutting ceremony Tuesday for its new headquarters on Tampa’s Henderson Boulevard. Afterward, Jackson spoke to the Tampa Bay Times. We lived in a middle-class life. It was very comfortable, but my parents did encourage working for what we wanted. Pretty much from the time I was able to work at age 14 in Colorado, if I wanted new shoes or extra money for clothes shopping, I had to go out and get it myself. Education also was a big focus in my household. We all got great grades. After college, you were a second-round draft pick of the San Diego Chargers. Is that when your entrepreneurial instincts first kicked in? As pro athletes, we’re able to get around successful and influential businesspeople. I knew I had a platform where I’d be able to go to events and meet with attorneys and businessman and women and pick their brains. Once I got over the shock and awe of being a professional athlete, I felt I needed to start planning for the future. Why not use my opportunities? A restaurant in San Diego. Quite a few of my jobs early in life were working in kitchens and restaurant-type facilities on military bases, so I was very familiar with restaurants and I have a passion for food. It was a very modest endeavor, but it allowed me to learn accounting and get my hands into something besides football. It was nice, easy practice to start preparing for bigger things down the road. What was the name of the restaurant, and what type? Dirty Birds, more of a casual sports bar down by the beach, a great area for tourists, a lot of foot traffic there. It has 30 different flavors of chicken wings and great hamburgers and sandwiches. That’s still there, and I also have a seafood place – it’s called the Pacific Beach Fish Shop – and I’m a partner in three franchises of Tilted Kilt (Pub & Eatery), it’s Irish-style. There are two of those in San Diego and one in Las Vegas. Since you joined the Bucs in 2012 and moved to Tampa, you and your partners in CTV Capital have bought dozens of housed in the area. According to property appraiser records, most of them seem to be pretty modest. Are they? We did some larger homes back West, not as much volume but higher in price points. We were building homes from scratch and selling them for over $2 million. Out here, we’ve got to get our feet wet, so we’re going a little safer route and doing a lot more of the moderately priced homes that we can renovate, flip and get back on the market. We have people in charge of finding properties, some we may keep for ourselves as rental homes. What areas are you looking at for future purchases? We love Seminole Heights, we love Ybor, we love South Tampa, even a few (places) in Pinellas. We’re just learning about the community and keeping our fingers on the pulse of areas that show growth and investment. There’s such a diverse mix of neighborhoods. You see a couple people do nice renovations, and starts a trend. You have intersts in real estate, restaurants and fitness centers. What’s the most challenging? They all are, but probably restaurants. The service industry is always a challenge as far as staying on top of trends and reviews and things like that. If you’re not working under a franchise, corporate-type structure, you’re just learning as you go. Any plans to franchise Cask or the others? I wouldn’t even want to say the word “franchise,” but I wouldn’t mind having more locations. I would say that if success continues, we can. It doesn’t have to be in the state of Florida. 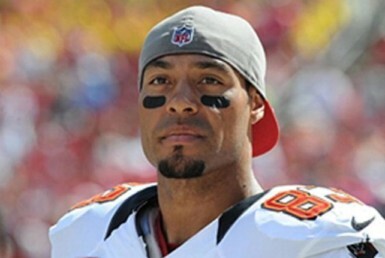 As a well-known pro athlete, do you get approached with a lot of wacky business propositions? Not wacky, just not my area of expertise. They’ll say, “Hey, I got this great idea as far as starting some sort of service or website or clothing line.” But it’s very difficult for me to use my funds or anybody else’s funds in fields I’m just not familiar with. I’m usually respectful and say I wish you the best, but it’s not something I can do at this time. I’ve gotten to the point now in my career where I feel very comfortable with the circle I’ve built around myself with partners and friends and family and business associates, so I don’t feel like I need to take on risky ventures… or find some magic invention to set me up for financial success. Are there any new things you can see yourself getting involved in? I’ve got two kids at home, two dogs, a wife, not to mention a full-time job. I think my plate is full. I’m always open to ideas – I challenge myself, I read books and magazines, what’s the latest, greatest thing – but I’ve worked really hard the last seven years getting to this point and now I’m starting to reap the rewards. Do your teammates ever ask you for advice? I do have a lot more guys that are starting to come to me, saying, “I have some money to invest,” and being a veteran guy I can help them make good decisions. How about the Bucs’ new quarterback, Jameis Winston, who signed a four-year contract for $23.35 million? (Laughs) Jameis has got a lot on his plate right now. Our schedules are nonstop 10 to 14 hours a day. It’s busy, busy. It’s during the offseason when I like to grab a guy, get breakfast and say, “Let’s talk about the things I’ve learned and the mistakes I’ve made and what you in your future.” Being at the tail end of my career, I see it as my role educating these guys and sharing what I’ve learned.